The Sacramento Bee reports that the California Attorney General, Kamala Harris, will investigate whether the Center for Medical Progress (CMP), based in California, broke the law in its work to expose the crimes of Planned Parenthood. Harris and some Democratic members of the U.S. House seem to buy into the Planned Parenthood rhetoric which tries to throw the blame back on David Daleiden and his team at CMP. These Democratic representatives asked Harris the investigation. Reps. Jan Schakowsky, Zoe Lofgren, Jerry Nadler and Yvette Clarke cited reports that founder David Daleiden filed paperwork to create a phony entity. They also asked the state’s top law enforcement official to look into possible violations of the Invasion of Privacy Act, which bars recording people without their permission. 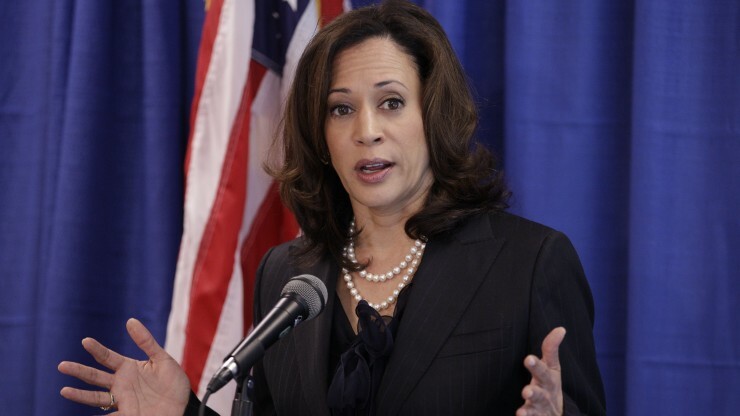 Harris, a Democratic candidate for the U.S. Senate, replied that she would investigate the California group. In their letter to Harris and U.S. Attorney General Loretta E. Lynch, the Representatives detail the accusations against Daleiden. In a press release posted on Schakowsky’s page, comments from each of the four congressional members proclaim the need for Planned Parenthood. The comments sound like the same song, echoing a chorus of accusation against pro-lifers who are “harassing” the sacred cow of the abortion giant. On and on the four Representatives go, singing the praises of Planned Parenthood, without once addressing what the abortion giant has been discovered doing on video. U.S. Attorney General Lynch has also said she will examine CMP’s actions to see if there is any wrongdoing, and she will act after her review. After only two videos, we have heard doctors discuss where to put their graspers to get get the heart, kidney, and lungs. We have heard doctors discuss how to alter an abortion to make the baby come out breech – to be sure to get the head intact. We have heard doctors disclose how they use the “less crunchy” abortion technique to get an “intact specimen” (a whole and possibly living baby), rather than pieces of a baby. The fact that some U.S. Representatives are more concerned with taping a conversation or setting up a corporation than with the horrific actions of medical professionals who have clearly broken federal laws says a lot about the manipulative power Planned Parenthood has even – and perhaps especially – on government officials.